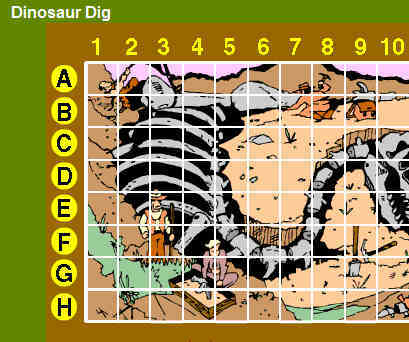 Future paleontologists can do their very own Dinosaur Dig. This is a fun exercise in mapping coordinates that also ties into earth science, rocks and minerals as well as exploration. This content resource is part of a curricular unit about dinosaurs. 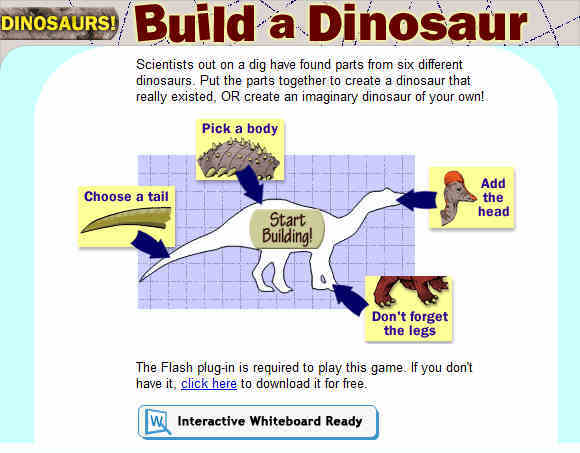 This site is an interactive dinosaur-assembly game. Students learn dinosaur facts and create six different types of dinosaurs from their component parts: head, body, tail, and legs. They can also create an imaginary dinosaur of their own. 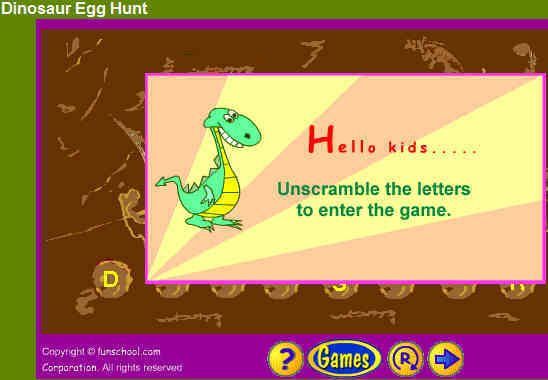 Learn about the 'great lizards' with this Dinosaur Egg Hunt. Kids will find this concentration-style memory game to be a fun way to keep their brains limber. 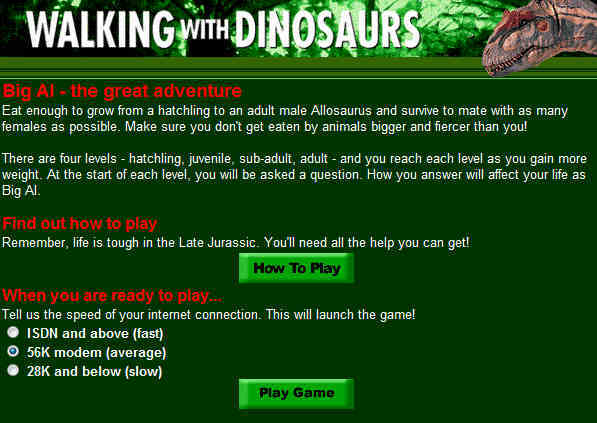 Dinosaurs - brings you in-depth descriptions of over 60 dinosaurs and the eras in which they lived. Including sound, video, photographs and interactive games. A great way to learn and review dinosaur names. 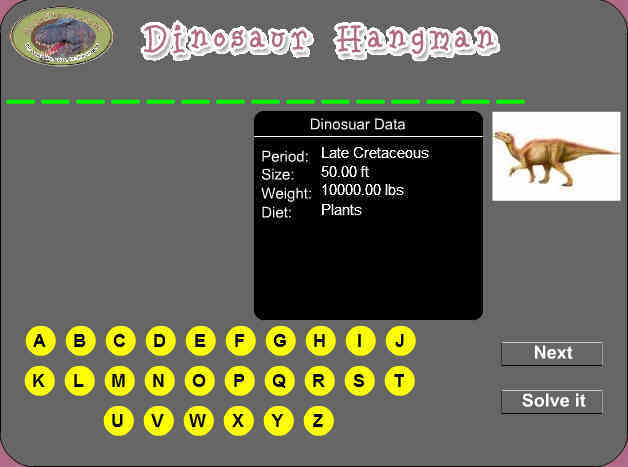 This challenging version of the classic hangman game will stretch you dinosaur knowledge.